Birchett Insurance has been serving the Dalton area since 1974. 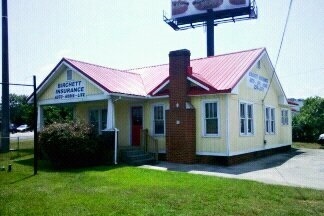 Birchett Insurance is a local independent insurance agency. We're available to you in person (walk-ins welcome) or on the phone. Basically, we work for you. If you've requested a quote, we will contact you via telephone, unless requested otherwise (email, fax, snail mail). All quotes are subject to underwriting requirements of various insurance companies. No coverage is bound on this site. Our office hours are 9:00am to 5:00pm Mon-Fri.